"Full of character and brimming with charm, Borderlands 2 brings more of what we loved back to Pandora just in case you didn't get enough the first time round." What do you get when you mix captivating gameplay, beautiful surroundings and serious attitude? The answer is of course Borderlands. The original was such an excellent example of how to perfectly balance first-person shooting with certain role-play elements that blended together to make an engaging and wholly entertaining experience be it alone, or with friends. The sequel aims to replicate these ideas but does so on a much bigger scale. While Borderlands 2 doesn't really bring anything totally new to the series, it is vast, expansive and continues being a whole load of fun – certainly an experience you shouldn't miss. Pandora was once a desolate planet, but now thanks to a host of new and entertaining characters alongside some familiar faces, is brimming with life. What was a wasteland has now become a world full of charm and character, amidst all the murderers and monsters of course. The new casts of characters although resembling Brick, Lilith, Roland and Mordecai, still have their own personalities and variety of powers to try out. First is Salvador the heavy tank character, then there’s Maya the psychic and force manipulator, third is Axton the commando and finally Zer0 the stealth and distance character. Just like in the original you have the opportunity to climb an assortment of skill trees and unlock powerful and potent abilities for each of these wonderfully created protagonists. A major change to Borderlands 2 comes in the massive expansion of Pandora. While Borderlands 1 didn't exactly feel small, some of you may feel a bit overwhelmed by the sheer magnitude of this sequel. We’re talking about a serious amount of exploration if you really want to find what every nook and cranny has to offer here. Thankfully this is a sheer joy to do in part thanks to the beautiful world surrounding you, the absolutely wonderful dialogue woven between pretty much every character you come across and the assortment of side quests that will keep you away from the main story line. Borderlands 2 continues to keep you invested with not only side missions and the story, but also challenges scattered across all of Pandora. These are check-list like objectives that are automatically recorded as you manage to complete them. These range from simple tasks like killing a certain number of enemies to area-specific goals; all of which upon completion reward you with small upgrades to your attributes. If you want your rewards to come in the shape of huge guns instead of little attribute boosts, than fear not because Borderlands 2 continues the tradition of absolutely bombarding you with a whole host of loot. Managing your inventory and items is a big part of the Borderlands experience as you constantly find awesome new weapons, sell old ones, upgrade this, and exchange that. This back and forth is perhaps what makes Borderlands in part, so addictive and thankfully, these mechanics are back and completely in tact with a few tweaks. This simply includes streamlining the whole process, allowing players to flag particular items, arrange them and ultimately do these transactions in quicker and easier fashion. The same style of streamlining has also been applied to the gun combat, which remains largely unchanged but still incredibly satisfying. You use your large arsenal to tackle a variety of different enemies, some more challenging than others. Swarms of partially invisible insects can pose just as much of a problem as large Ogre like creatures, so be ready to fight for your life and grind to be even in combat against your foes. Ultimately how diverse you want your Borderlands 2 experience to be really depends on how you choose to play the game. Playing as Salvador or Axton gives you nothing more than core gunplay mechanics, while Maya and Zer0 provide something a little bit different to the action. Thankfully the game pretty much requires you to try out each character so you will have plenty of opportunity to experiment with what style of play works best for you, if you haven’t found out from the original already. It doesn't take a genius to point out that like the original, Borderlands 2 is best when played cooperatively with friends. While it’s possible to go through the game by yourself, it’s lonely and simply, nowhere near as fun. When you take friends along for the ride you find perhaps one of the most entertaining cooperative experiences out on the market that really caters to all of your needs in the form of action, exploration and team work. You can get lost for hours in Pandora and who better to ask for directions than your friend with that huge grenade launcher? From a technical perspective Borderlands 2 is a joy to behold. While the graphical style is still subjective to opinion, it’s undeniable that it’s charming and vibrant. Pandora is buzzing with life and each and every character you meet will put a smile on your face. Particular kudos should be given to the wonderful narrative and dialogue that really gives this game life. So if you’re reading this review and thinking that this sounds all too familiar, well you’re not wrong. Borderlands 2 picks up nicely where the original left off, enhancing and expanding the experience without making any serious changes. As a result the wow factor that surrounded Borderlands 1 is gone, but in its place is the awe factor as you experience a technically impressive game that provides everything you need for another exciting trip to Pandora. You won’t find anything new in Borderlands 2, rather a revamped and expanded experience. The gun-play is still solid, exploration is still a whole load of fun and the joys of being on Pandora are ever lasting. The giant map and host of different missions, side quests and challenges will keep you invested for a long time to come. Pandora is beautiful; there are simply no other words to describe it. The excellent cast of characters really helps bring this game to life. Gearbox have definitely taken time to flesh out their desolate planet and the result is a joy to behold. Not many games really make you want to go out of your way to find each and every secret, but Borderlands 2 has that appeal. Those wanting to hit the level cap of 50 will absolutely need to replay the game on the harder difficulty setting that really ramps up the game. Pandora is so much bigger this time round that it’s really hard to fit everything in during one play-through. As a result it’s highly recommended to come back, try the other characters and have more fun. There was something truly special about Borderlands 1. That something special I realize now was perhaps the ‘wow’ factor I felt playing with my friends. The sequel just doesn't have that same initial impact because ultimately, you have played this game before. Saying that, this is an excellent expansion of Borderlands 1 – the world is bigger, the characters are more entertaining, there’s more to do and just about every section of the game has been improved and polished. 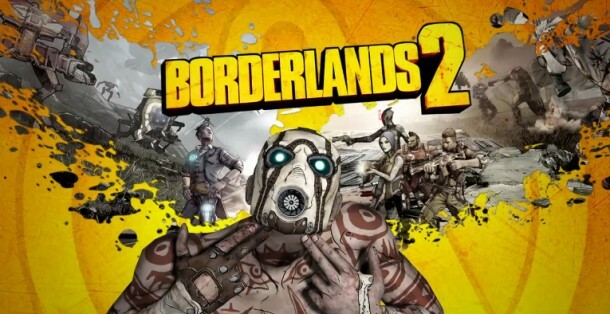 There’s no doubt you will have an absolute blast with Borderlands 2 but be warned it is in a good way, more of the same.